Enjoy this custom built and newly renovated home that offers access to a small community beach and dock! 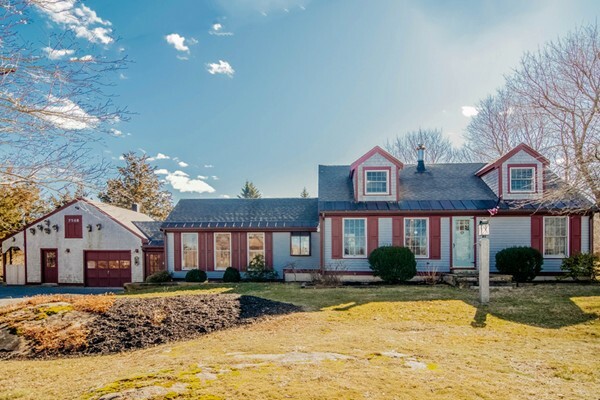 Privately set on a 1.7 acre lot abutting a tidal creek, and a short walk to the Essex River, this sought after location can be the perfect seasonal retreat or year round family home. This wonderful open concept home features a family room and sun room with vaulted post and beam ceilings, new hardwood floors, a gas fireplace, and a wall of over sized windows making it light and bright and perfect for entertaining. The dining area has a custom wood ceiling, hardwood floors and is warmed with a small gas fireplace. There is a very spacious first floor master and two additional large bedrooms on the second floor, all with custom built in dressers. The over sized heated garage doubles as a fabulous hobby space, studio or contractors work shop with access to a separate heated home office. Launch a kayak from your own back yard, deep water moorings and community dock are a 5 minute walk.